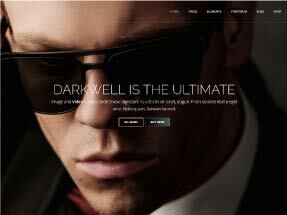 DARKWELL | The Ultimate Multipurpose Muse Theme is Here! THE LARGEST, MOST COMPLETE AND MOST VALUABLE MUSE TEMPLATE! 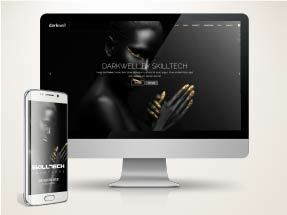 With its unmatched features and superior design, Darkwell is the capstone of Muse template design. It comes with 22 DEMOS, 52 PAGES, 260 LAYOUTS, 15 PORTFOLIO STYLES, 17 SLIDERS, 77 ANIMATION STYLES, SUPERB IMAGE HOVERS and soooo much more. This Creative Adobe Muse template brings revolutionary solutions for every aspect of Muse Designing. This is your Ultimate Adobe Muse Tool for creating any website you can imagine. TURN MUSE INTO A PROFESSIONAL WEB PRODUCTION STUDIO! Darkwell contains so much elements that it will turn your Muse into a superior web production studio. 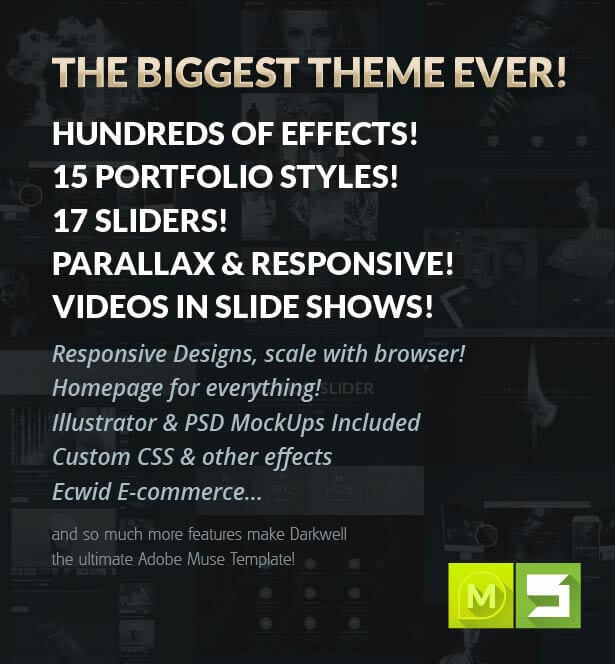 It includes all sections and pages which you can combine to build unlimited websites which makes Darkwell the true Multipurpose Adobe Muse Theme. PACKED FULL OF AWESOME FEATURES! Darkwell is a professional Multipurpose Muse Template with Clean and Modern design and hundreds of custom features and pages. It's easy to use and comes with all the latest features Muse can offer plus custom features some of which are unique to our theme like custom the latest Muse Widgets CC2017, CSS Animations, SnazzyMaps Muse Widget, 7 Icon fonts including FontAwesome, IcoMoon and more, CSS Image Hovers for Adobe Muse (they work instantly, no need to work in other programs), AI Mock Ups, PSD Mock Ups, Ecwid Online Store (e-commerce), Fullscreen Video Backgrounds Adobe Muse Widget, Skilltech Combo Slider (the first Muse slider that contains videos in slide show), Full Screen Slide Shows, Hero Slider with custom layouts, Gradient Slider, Big Text Slider, ONE-CLICK Theme Color Change and more. This Multipurpose Adobe Muse template also includes the Skilltech Combo Slider which means you can now insert videos in your slide shows inside Muse! On top of that you get 20 other Page Master sections for Adobe Muse. 17 MUSE SLIDERS IN TOTAL! Darkwell includes all possible Muse sliders you can ask for. It includes Skilltech Combo Slider, Hero Slider, Fullscreen Slide Show, Gradient Sliders, Big Text Slider, Dynamic Color Slider, Partners Slider, Carousel Slider, Image Gallery Slider and more! Get a theme that's a full Muse Design Studio! Darkwell comes with 10 premium MuseShop.net widgets including our most-wanted Ultimate Muse Responsive Menu widget, Parallax Backgrounds for Muse Responsive widget, Ultimate Video Backgrounds widget, Animated Counters widget, Animated Skillbars widget and more! And you get all these premium Muse widgets for free! The Ultimate Multi-Purpose Muse Theme is Here and it's Changing the Game in Every Aspect! The only Adobe Muse website template with Responsive sections AND Parallax Effects at the same time! THE COOLEST DARK THEME EVER CREATED! Sublime dark design, perfect aesthetics and superior design style make Darkwell the coolest dark Muse theme on the market! 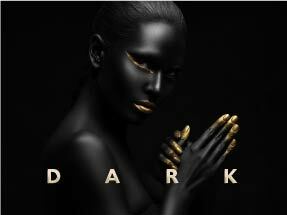 Create elite websites with that luxury edge only dark themes can achieve. The largest, most complete dark Muse template! 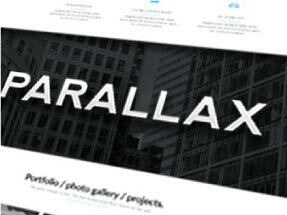 Darkwell turns Muse into a professional website design studio! Fully responsive with custom responsive effects no other theme has plus smartly responsive design with 5 full responsive layouts! Only with Darkwell you get responsive Muse file AND parallax effects with our Responsive Parallax Backgrounds Muse widget. Inlcuding portfolio standalone pages and portfolio homepages. Show off your work with style! 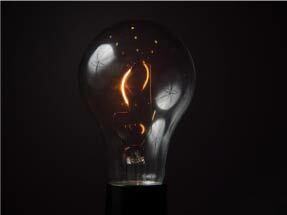 Skilltech is the first to bring a combination of images and video in the main slide show. Enjoy the power of the combo slider. 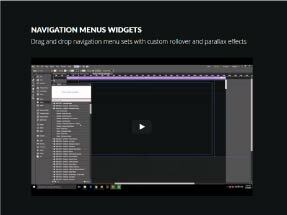 One of the best Muse widgets ever created, the Ultimate Responsive Menu widget is included with Darkwell for free! Darkwell includes 10 Premium widgets that will turn your Muse website into a masterpiece with unique functionality! Hundreds of awesome custom code effects are built-in. No coding knowledge required, with Darkwell engine everything works instantly! Awesome hero slider included. 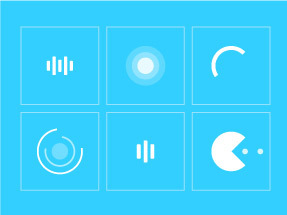 With super easy setup and custom CSS animations, hero slider is an integral part of any great website. 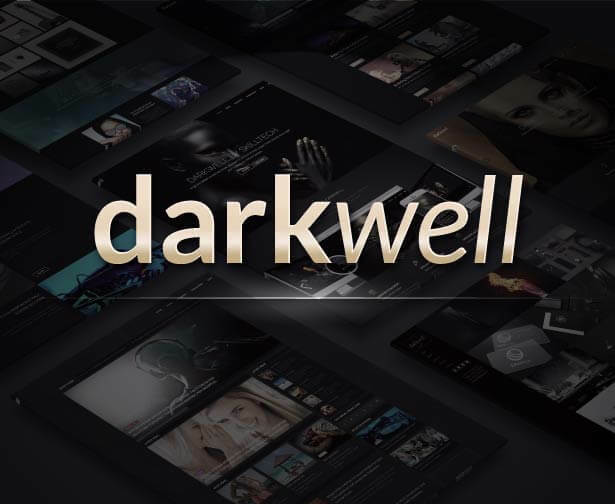 Darkwell comes with video background version Widget. Easily integrate any video as a full width background. Experience superior rollover effects only Darkwell offers. Custom effects Muse doesn’t offer are available to you with this template. 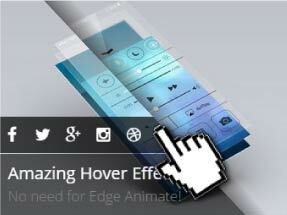 Animations, rollovers, zoom effects on images, buttons, text, menus. 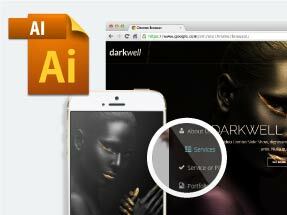 Darkwell makes your website come to life. Change the entire theme color in just one step! 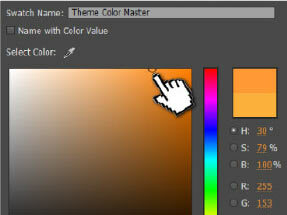 Instant and advanced options included to easily control the entire color scheme. 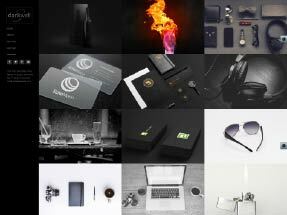 Darkwell includes individual page designs for practically any purpose you'll ever need. This is the true Mega Template. Ready-made Ecwid online store integrated! The Ecwid Widget also includes a custom CSS theme for Darkwell (unique store design). 3 Premium AI Mock Ups included with the theme. Build new awesome sections instantly with Adobe Illustrator Mock ups! 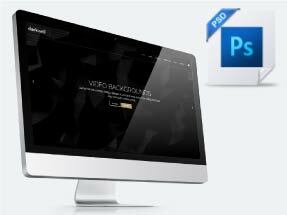 2 Premium PSD Mock Ups included with the theme. 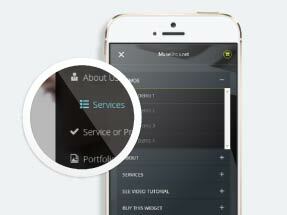 Quickly and easily build new website sections with beautiful PSD Mock ups. Darkwell comes with its own special kind of style. Anything you do with Darkwell will make your website look amazing! New! Instant Animated Counters for Muse. Up and running as soon as you type in your numbers. Like serious animation? So do we! 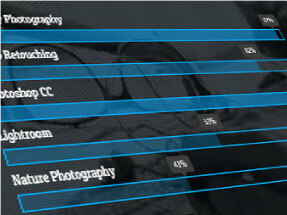 Stun your clients with this amazing progress bars collection! Add custom page loading animations to your Muse projects. With our page preloaders widget you get the coolest page intros! SNAZZY MAPS WIDGET - CUSTOM STYLED MAPS! SnazzyMaps widget included! With theme colors and custom location marker icons. Have Google Maps blend in your design. Documentation includes video walkthrough tutorials which will make you the Master of Darkwell within minutes. 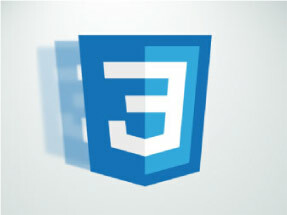 The coolest, largest, most complete and the most valuable Adobe Muse template! Absolutely stunning work guys, great job! Wonderful theme, so many features, just great! Darkwell looks amazing, great job guys! Darkwell Multipurpose Muse template is the largest, most complete and the most valuable Muse template. 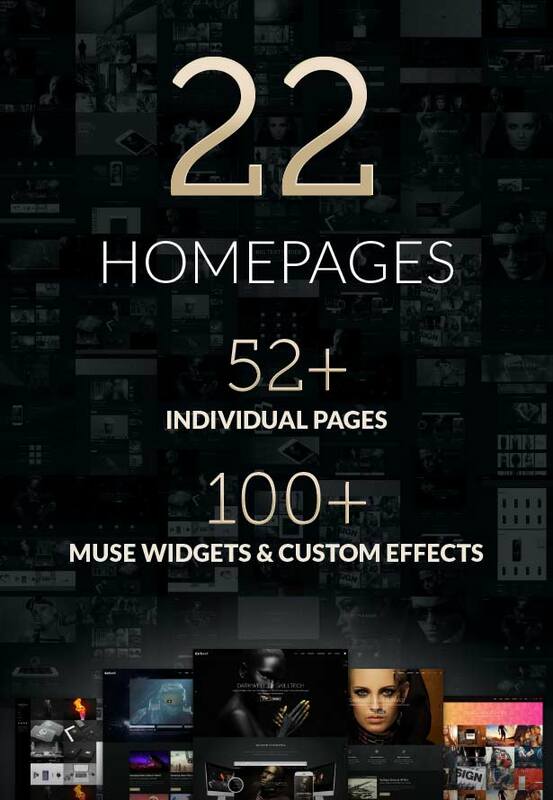 It comes with 22 homepages, 10 premium widgets, 15 portfolio styles, amazing hover effects and so much more. Darkwell is a professional Multipurpose Muse Template with Clean and Modern design and hundreds of custom features and pages. It’s easy to use and comes with all the latest features Muse can offer plus custom features some of which are unique to our theme like custom the latest Muse Widgets CC2017, CSS Animations, SnazzyMaps Muse Widget, 7 Icon fonts including FontAwesome, IcoMoon and more, CSS Image Hovers for Adobe Muse (they work instantly, no need to work in other programs), AI Mock Ups, PSD Mock Ups, Ecwid Online Store (e-commerce), Fullscreen Video Backgrounds Adobe Muse Widget, Skilltech Combo Slider (the first Muse slider that contains videos in slide show), Full Screen Slide Shows, Hero Slider with custom layouts, Gradient Slider, Big Text Slider, ONE-CLICK Theme Color Change and more. Get a theme that’s a full Muse Design Studio! Darkwell comes with 10 premium MuseShop.net widgets including our most-wanted Ultimate Muse Responsive Menu widget, Parallax Backgrounds for Muse Responsive widget, Ultimate Video Backgrounds widget, Animated Counters widget, Animated Skillbars widget and more! And you get all these premium Muse widgets for free! The Ultimate Multi-Purpose Muse Theme is Here and it’s Changing the Game in Every Aspect! The only Adobe Muse website template with Responsive sections AND Parallax Effects at the same time! Revolutionary Combo Slider – Insert Videos into Slide Shows!!! *Might be more items than stated because we are adding new elements with every update.